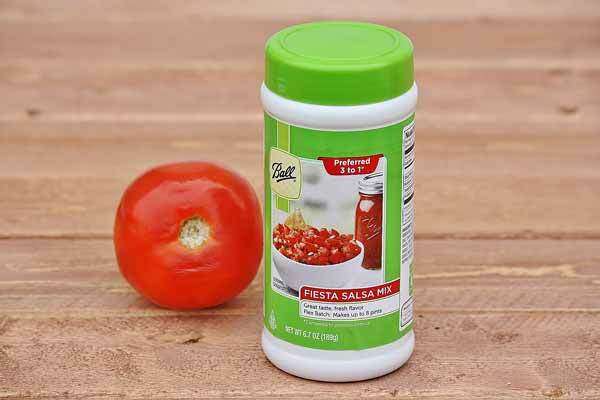 Tasty fresh salsa is easy with Ball Salsa Mix. Just add fresh or canned tomatoes, with a splash of vinegar for perfect salsa every time. Recipes included on container. Ingredients include items such as bell pepper, onion, garlic jalapeno, and natural spices. Dial up the heat with some hot sauce or zest it with a squeeze of lime. Makes up to 8 pints. Made in the USA.